A Cinco de Mayo Piñata Workshop, hosted by fullosophie, in Dallas, Texas!? I don't think anyone had more fun North of the border! A talented, hilarious, and beautiful group of gals joined us for our second Texas workshop. We sipped on coffee, iced tea, and coconut water provided by the wonderful Sip | Stir, as we papered our Pyramid Piñatas. Each person had their own piñata style, and by the end of the night, they were all piñata papering pros! One person attempted a metallic swirl pattern and another person took on the tricky horizontal papering technique! 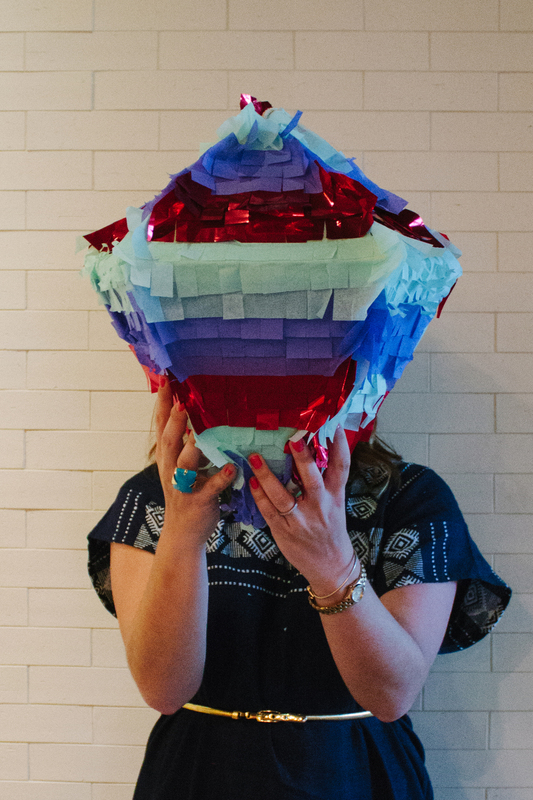 If you missed the Workshop, you can make your own piñata by purchasing our Multi-Colored Piñata & Confetti Kit. We used the entire Kit contents for this Workshop, using the Mystery Trio colors. Thanks to fullosophie for hosting and for the photos! To all the gals who came out, I enjoyed meeting all of you!